Happy April Fools’ Day! 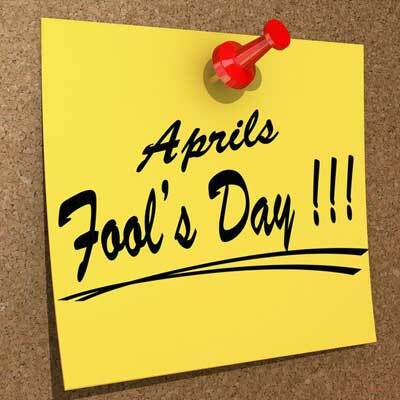 Today many of us will fall victim to pranks, tricks and gags from our friends and family in honor of All Fools Day. The origin of the holiday remains a mystery in itself; some claim it has to do with the change of seasons and others believe it started when the new Gregorian Calendar was adopted in France. Today, April Fools’ Day is acknowledged around the world, with everyone from celebrities to consumer brand marketers joining in on the fun. Have you heard about Chester Cheetah’s new fragrance called Cheetau? Global investment management firm T. Rowe Price recently (and more subtly) played a trick on the respondents of their Parents, Kids & Money Survey. When asked what they believed to be the best way to save for college, 7% of parents selected a UBO-67 account and/or a CS213 account as their answer. April Fools! These types of accounts do not actually exist. They were included in the answer choices along with real options like 529 plans and IRAs to gain a better idea of parents’ knowledge of investment products. It should also be noted that a regular savings account is usually not the most effective way to save for college. With interest rates at historic lows, even a high-yield savings account won’t offer much beyond what you put in. Plus, each year anything you earn above $10 will be taxed at your marginal income tax rate, and high earners will pay an additional 3.8% interest income tax. So why in the world would 44 percent of parents surveyed feel that a regular savings account is the best way to save for college? We want to let these parents know that they can stop giving up so much of their savings to Uncle Sam. One of the most tax-advantaged ways to save for your child’s education is by investing in a 529 plan. Your earnings will grow tax-deferred and you won’t have to pay federal taxes on withdrawals that are used for qualified educational expenses. Some states even offer additional tax incentives for residents, no matter where the beneficiary ends up going to college. Other parents believe that the best way to save for college is with a retirement account such as a 401(k) or IRA, but again, we disagree. Distributions made from 401(k) plans and traditional IRAs that are made before age 59 ½ are subject a 10% penalty tax. Funds in a Roth IRA, however, can be used for qualified educational expenses without a penalty, but there are no state tax incentives. Some parents choose to borrow against their 401(k) account to pay for college. While in this case you would avoid the 10% penalty tax, you would have to repay the loan within five years with interest. If you leave your job or get fired, the loan could be called and repayment would be required within a much shorter time (often 30-60 days). 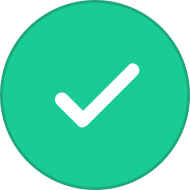 Any unpaid balance becomes subject to income tax as well as the penalty tax. Which is best? 529 plan or Roth IRA? According to our Annual College Savings Survey, many parents are still confused about the functionality of 529 plans. This April Fools’ Day, don’t be fooled by tricks that can cost you – be sure to research of all your options for saving for college.